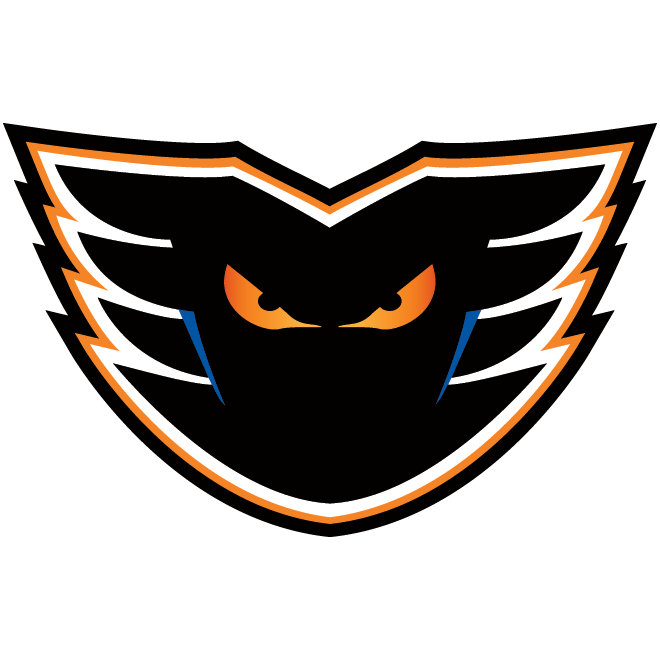 Through three years with the Phantoms, Alex Lyon’s play on the ice has made him Lehigh Valley’s all-time leader in wins for a goaltender. 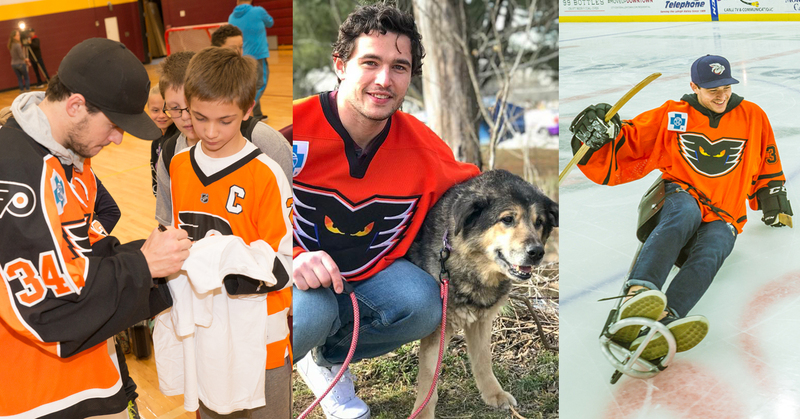 Despite how strong his play has been on the ice this season, the efforts he consistently makes off the ice have earned Lyon the win as the Lehigh Valley Phantoms IOA/American Specialty AHL Man of the Year, for his outstanding contributions to the Lehigh Valley community. 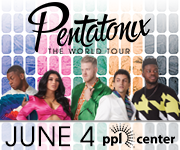 The Minnesota native has shown great enthusiasm in giving back to the community during his time in the Lehigh Valley and when a sign-up sheet for a community event goes up in the locker room, his name is usually the first one to appear. In addition, he is always asking how he can get more involved. 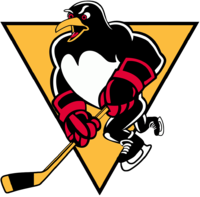 This year, Lyon has taken part in a number of community events from shopping for toys for underprivileged children with Service Electric TV for donation to Valley Youth House to recording a PSA for the Lehigh Valley Phantoms first You Can Play Pride Night to help stress the inclusion of all individuals involved in the game of hockey no matter your gender, race or sexual orientation. Lyon also visited the Lehigh County Humane Society, a local animal shelter, and spent the afternoon walking and giving attention to local animals looking for a new home. He spent time with some of the older dogs that have a lower chance of being adopted and tried to bring awareness to animals that need to find a home and be cared for. 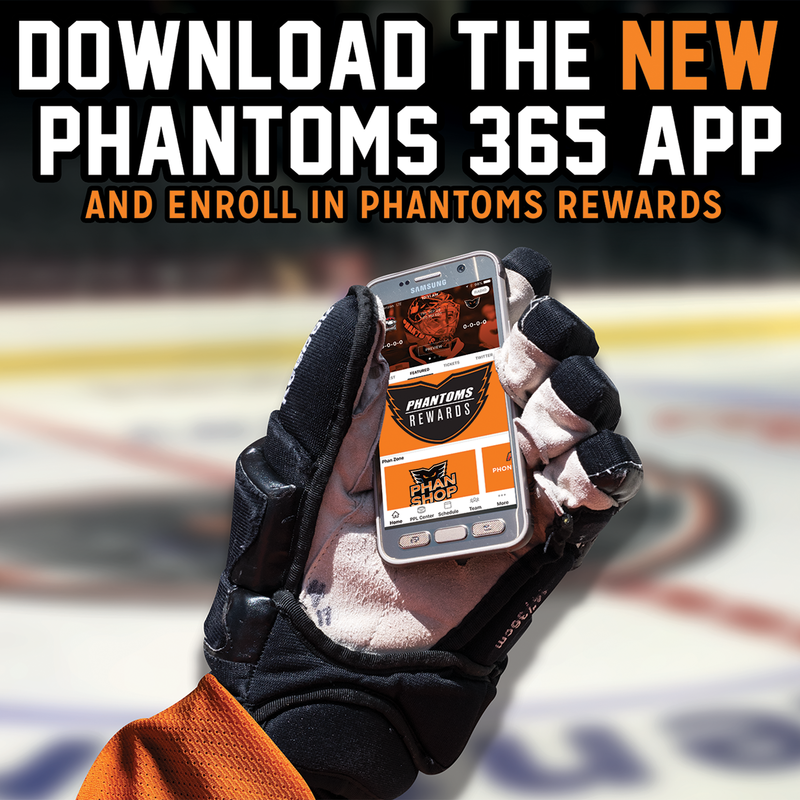 Furthermore, the netminder volunteered his time at the annual Phantoms Bleed Orange Blood Drive, offering to mingle with donors, take pictures and sign autographs during the event, in hopes of attracting more fans to come and donate blood. 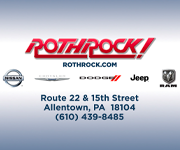 While most goalies tend to have a reputation for being a little different and mostly sticking to themselves. Lyon finds it important to maintain a balance, and finds visiting schools and giving back to young fans helps him keep things in perspective and enjoy life more. This year, Lyon visited local schools to help promote Read Across America Day in which he took time to read to classes and answer questions from the kids. He even spontaneously surprised one of the gym classes on the way out, as they just happened to be playing floor hockey that day. 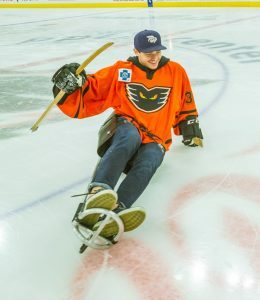 Most recently, Lyon and five of his teammates surprised the Phantoms Charities Sled Hockey team at their final practice of the season. The Sled Hockey team, which is comprised of children with mobility issues, practices at PPL Center twice a month where they can learn the game of hockey, make new friends and have some fun out on the ice. Lyon said it was, to date, his favorite thing he has been a part of in his career. Phantoms fans are used to hearing the lion growl sound echo through PPL Center after Lyon makes a big save and his strong play on the ice has made the netminder quite the fan-favorite among them. 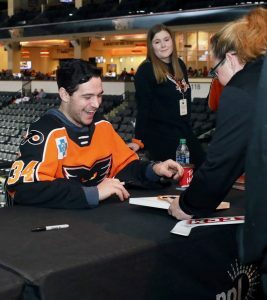 During fan interaction events like postgame photos on the ice, player autograph sessions or the annual Phantoms Carnival, Lyon usually has one of the longest lines waiting for a picture or his autograph. He is always happy to sign every one with a smile on his face and talk to each fan while looking them in the eyes. He genuinely enjoys getting to know the people that support him every night. 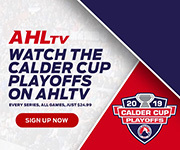 Although he is only 26 years old, Lyon is in his third season with Lehigh Valley and has become one of the veteran leaders in the locker room. As he has continued to grow and mature as a player and a person, he has realized the importance of giving back to the community and the fan base that has supported him. 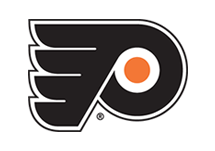 Lehigh Valley Phantoms Head Coach Kerry Huffman also stressed the importance and impact that having someone like Lyon in the locker room can have on an entire organization, especially for the younger players who are just learning how to be a professional. 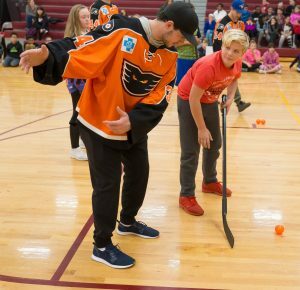 When asked about being named the Lehigh Valley Phantoms winner of the IOA/American Specialty AHL Man of the Year Award for his outstanding contributions to the Lehigh Valley community during the 2018-19 season, Lyon pointed out that his selection is just a reflection of both his teammates and the Phantoms organization as a whole. 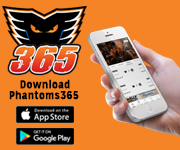 And while the Phantoms head coach may be the first in line to sing the praises of his goaltender for what he does on the ice, Huffman said that overall, Lyon is equally as important for what he does off of it.